Oh, Whistle, and I’ll Come to You, My Lad – a tale of nocturnal horror on the Suffolk coast – is considered by many to be the author’s masterpiece. It is beautifully complemented here by The Ash-tree, a story of witchcraft and vengeance down the generations. Every Christmas, M. R. James, an eminent medieval scholar, would write and perform new tales to entertain friends in his rooms in King’s College, Cambridge. A century later, the stories by Montague Rhodes James thrill, terrify and amuse as powerfully today as they ever did. Robert Lloyd Parry recreates James’s entertainments in a truly atmospheric way, illuminated by candlelight and underscored by dread. 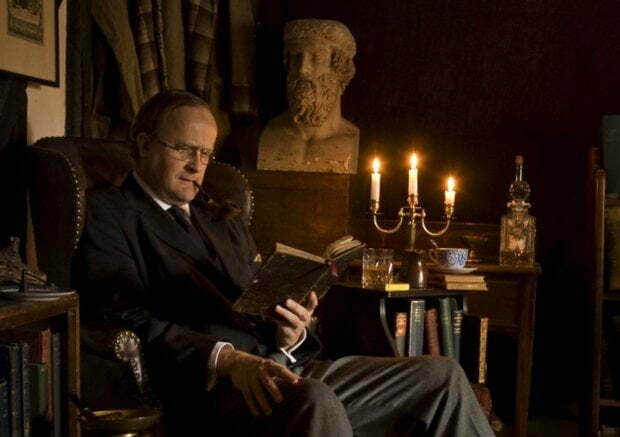 On Christmas Day in 2013 and Christmas Eve 2017, Robert Lloyd Parry appeared on television portraying M. R. James in Mark Gatiss’ BBC Two documentary ‘M. R. James: Ghost Writer’. Robert Lloyd Parry is a Cambridgeshire based actor who for the over 10 years has been staging recitals of these chilling tales of over-curious academics and arrogant authority figures stirring up forces they can’t control, and he’s a wonder to behold: he affects the appearance, demeanour and speech patterns of an abstracted early 20th Century don perfectly, and uses candlelight and the natural ambience of his carefully chosen venues to heighten the atmosphere.